Gorgeous. 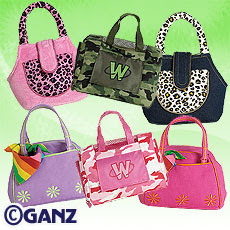 6 brand new webkinz pet carriers. Fabulous. This is a very new addition to the webkinz accessories collection. You are going to love these new bags. This is very attractive wear. The colors go from a delicious pink to a warm spirited green camo. Each carrier comes with a feature code. This code will unlock to a very stylish wardrobe of your choice. The fashion here is hot!